When we say Academy, we mean learning. A long time ago (in a galaxy far, far away…) we were at school and we’ve seen enough of a boring education system. And each of our team members did everything to make learning in Academies completely different. A lot was said about interesting texts and nice visual components. Of course, all this can be found in a knowledge base section. But there is something special among all things that only Academy can give you and your learners. This tool that allows you to interact with learners and check their knowledge. We are talking about quizzes. It may seem that we got good old schools in a new format. Hm, well, there is some truth in this thought. Some people may even find quizzes and exams quite similar. Despite this similarity, quizzes are just an interactive way to present your content. Along with lessons, quizzes are “basic elements” of a course and create a convenient “read and test yourself” system. Of course, you can make do without all these questions and simply fill your courses with texts, images, and videos. However, quizzes are not only about choosing the right answers. It is easy to create a new quiz in your course. By the way, we described this process in details in our Academy about how to create Academies. …And set a passing score. It means that your learners should give a certain number of right answers to pass your quiz. If your reader fails, he wouldn’t complete a course and receive his certificate. Except for a passing score of 0: it allows a learner to continue even if all of his answers were wrong. Written answers come along with no passing score. Current answer modes enable different use cases. 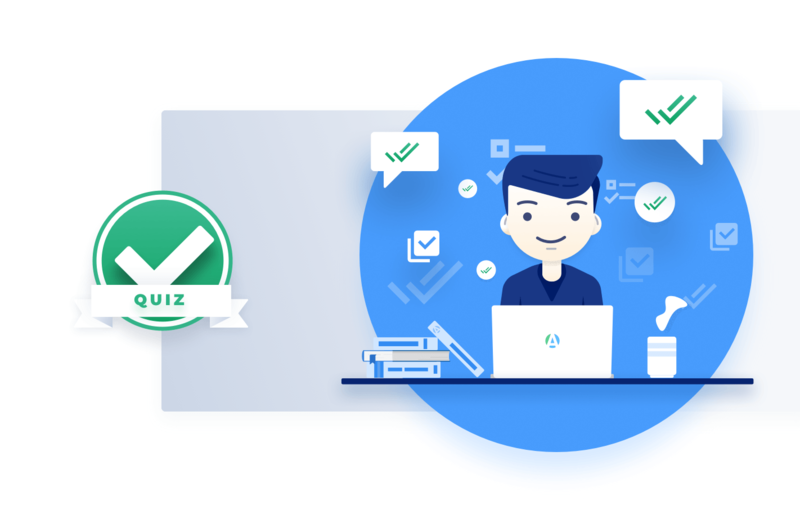 You can call a quiz with multiple answers and single answer a “test”, while written answers are well suited both for tests and…surveys! 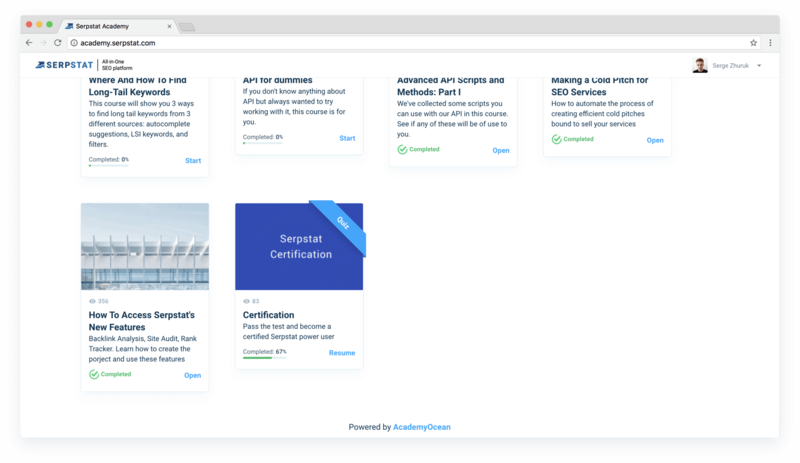 Explain how and why to use your product and turn learners into your product masters. First of all, non-written tests with are especially suited to check knowledge. Every Academy owner wants to be certain that his learners have read his content closely. And to make this education valuable. Also you can use tests to get to know your readers. Questions like “What is your company size?” may include checkboxes with responses “1–10”, “11–200”, “201–1,000” etc. There are no wrong answers, because it’s a survey. Quizzes with right and wrong answers can influence on course completion. As we’ve mentioned before, a failed quiz is a barrier on learner’s way to a finish line. You can turn a difficult quiz into an advantage and increase the value of your certificate! Well, if you have a complex product, you should use both detailed lessons and quizzes. 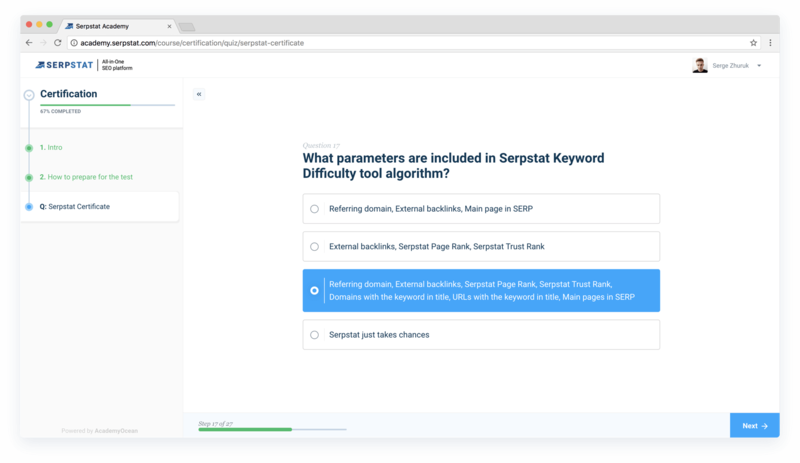 Take a look at Serpstat Academy. These guys offer you to read four lessons and answer 27 questions to pass their test. In return, you become a certified Serpstat user and you even may be permanently featured on the Certified Customers page. Nice job, huh? Sometimes you need to get feedback from your learners. 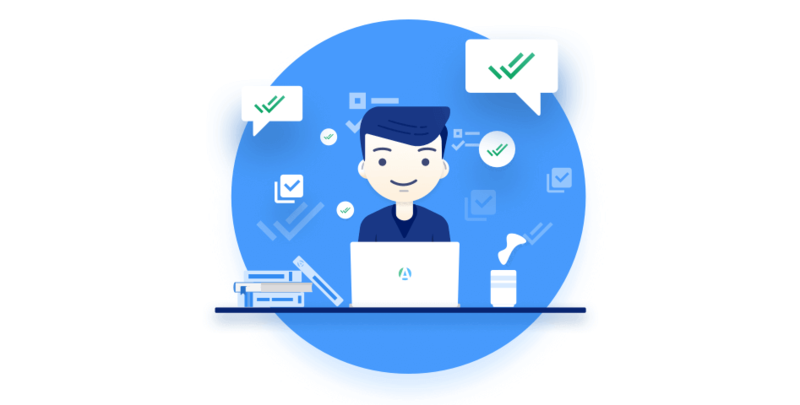 For example, you want to find out how your users interact with your product, like “Which product have you used before?” and “What are the most common problems you’ve faced with?”. It has a little to do with usual certification because your learner cannot give the “right” answer. Written answers are able to provide you with information about your product’s best sides or problem areas. Let’s imagine that you ask your learners about their role in their company. They may write you, for example, “middle-manager”, “manager”, or “specialist”. Of course, nobody scores points for these questions, because it’s a survey. Academy quizzes, unlike surveys on your website, are putting everything together. Educational information, tests, results, and awards are not spread among different site sections anymore. It makes education in your Academy a continuous, organic process. Moreover, you can even add more competition to your Academy with Top learners page. Thanks to gamification elements, quizzes also make learning engaging and fun. If you add certificates, then your learner would be pleased to receive an award. In our opinion, the coolest thing about quizzes is an increased interaction between Academy owner and his learners. Have you ever used quizzes to make your interaction with your users more engaging?